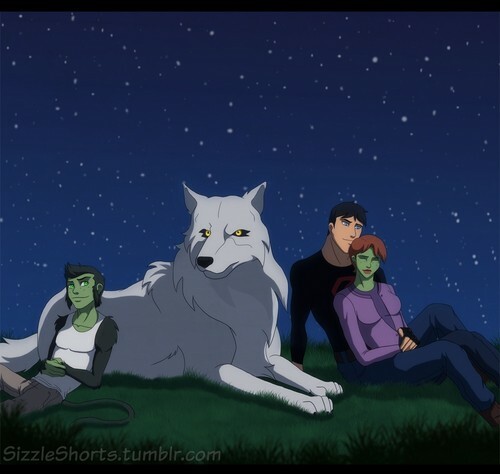 (Fanmade) SuperMartian with Beast Boy and 늑대 under the stars. SuperMartian enjoying 별, 스타 gazing alongside Beast Boy and 늑대. HD Wallpaper and background images in the 영 저스티스 club tagged: young justice superboy miss martian beast boy conner m'gann gareth wolf. How did you make this? ?